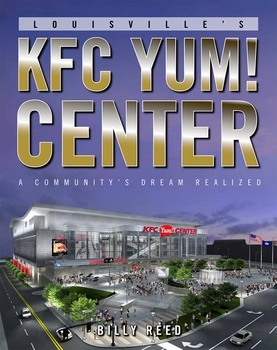 Far into the foreseeable future, civic leaders in Louisville, Kentucky will refer to the building of the KFC Yum! Center as a blueprint for how a public project should be funded, planned, and executed. From the outset, the arena project always was about more than providing a new home for the highly successful University of Louisville men's and women's basketball programs. It was about providing every element of the city's culture — men and women, black and white, business and labor, rich and poor — with the opportunity to participate in a project that will revitalize the city's downtown and make the city a viable option for national tournaments and conventions, as well as the biggest show-business acts in the nation. It's a story with a few stars and a lot of heroes. It's a story of how Possibility City turned a dream into a magnificent reality. For more than 50 years, Billy Reed has written about sports and other topics for such publications as Sports Illustrated, The Courier-Journal, and The Lexington Herald-Leader. He has won numerous national and regional awards, especially for his writing on college basketball and thoroughbred racing. His 18 book credits include Freedom Hall: Celebrating 54 Years at Freedom Hall and The Monarchs: The Great American Rock 'n' Roll Dream.